Starting off with 1 plant in Pasir Gudang, Holcim Ready-Mix now has an extensive network of 10 plants around Johor Bahru and Pontian Districts. Established in 2005, Holcim Ready-Mix has developed into a leading supplier of ready-mix concrete in Johor Bahru. The extensive network offers customers supply security and peace of mind to avoid jobsite delays. The high quality capacity plants and fleet of trucks makes mass pours up to 2000m3/day possible. The high availability of our plants and the use of back-up plants are made possible in case of traffic related issue. 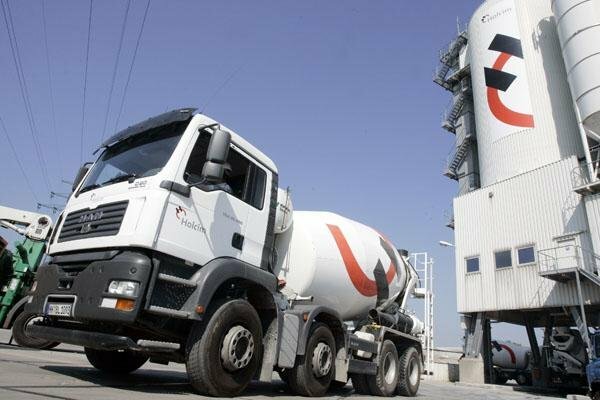 Over the years, Holcim Ready-Mix has worked together with leading national and international contractors in the residential and commercial buildings, high rise buildings, roads and bridges, oil and gas tankage facilities as well as industrial and harbour projects. Green, eco-friendly products that use fly ash and other supplementary materials and are produced through low-energy production technologies to reduce CO 2 emissions. 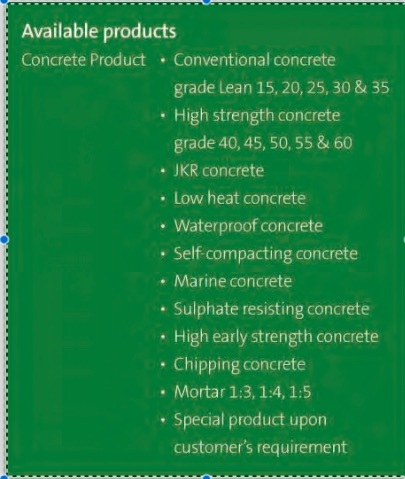 High technology products formulated to facilitate special applications for specialised work such as low-heat concrete. The nuts and bolts of the construction industry, these are the robust essentials required in any construction work. All Holcim Ready-Mix (RMX) products are durable and of a consistently high quality to provide excellent structural performance with strong support towards environmental friendly and green building.